I was about to buy slotted rotors from Man-A-Fre but they were out of stock at the time. 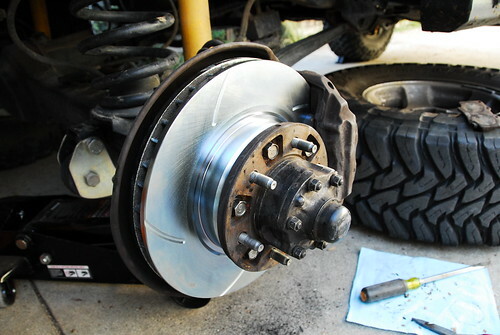 I wanted slotted rotors since I drive up and down a long and very steep hill several times a month. I opted against the cross-drilled because of clogging potential cracking. 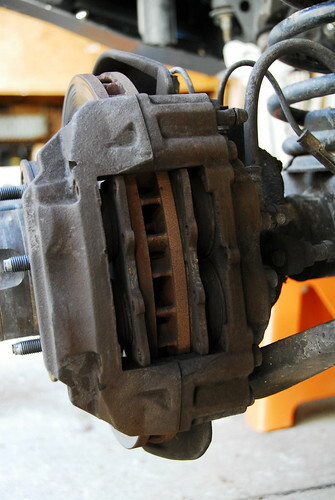 I did some web searching and found BrakePerformance.com. They don't stock them, they build them to order. They shipped about 4 days after I ordered and since they are not far from my home they arrived the next day after shipping. I used 100 series pads for replacements. They've been on the truck for only 4 days. They are a huge improvement over the previous warped disks. I'm very satisfied with the braking power. My rears need replacing also and I ordered slotted rear rotors from them today. This was the first time since High School auto shop that I re-packed bearings. The passenger side appeared as if it had been a very very long time since re-packing. 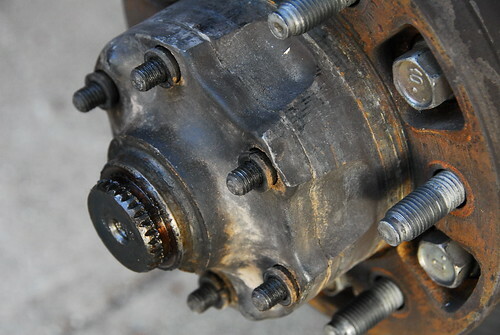 There was no unusual wear and all the bearings were in good shape. All in all, this was easy with the help of the Factory Service Manual and ideas found on the IH8MUD forums. I like the Landtank method of setting pre-load. Brass Hammer here and Brass Drift here I first went to a local Hardware Store and OSH, neither had one.